Last summer we went on a milkshake kick and Michael and I spent lots of time in the evenings after the boys went to bed testing new flavor combinations. I can’t say it was a healthy thing for us to do, but all that time spent playing in the kitchen was worth it. We laughed and enjoyed creating together, sharing ideas and tasting each other’s concoctions. Good memories. Life throws curve balls and we never know what is coming, how big or small, and though we try to plan carefully and make sure home life is safe and comfortable for our family, there are days that sometimes stretch into weeks when I think we can’t take another curve ball, whether it’s another special needs diagnosis for one of our children or unexpected bills or an illness for someone else in our family. Then unimaginable events in other places in the world jolt us, remind us to be thankful and celebrate every single day that we have together, because we don’t know how long we have. So we are celebrating St. Patrick’s Day today, tomorrow, and probably into the weekend because we are just happy to be together. And we’re sharing with you one of our favorite milkshakes from last summer, a shake we dubbed Luck of the Irish because it’s made with some of our favorite Irish exports. The other favorite is featured in the Spring 2011 issue of Where Women Cook, a milkshake with bananas foster and praline pecans. We hope you’ll celebrate with us. In the cocktail shaker, mix the Guinness Stout, Irish cream, chocolate syrup, and malted milk powder with the immersion blender. Add the chocolate ice cream and blend well. Finely chop 6 of the espresso beans and blend them in with the shake. Pour into the chilled glass. 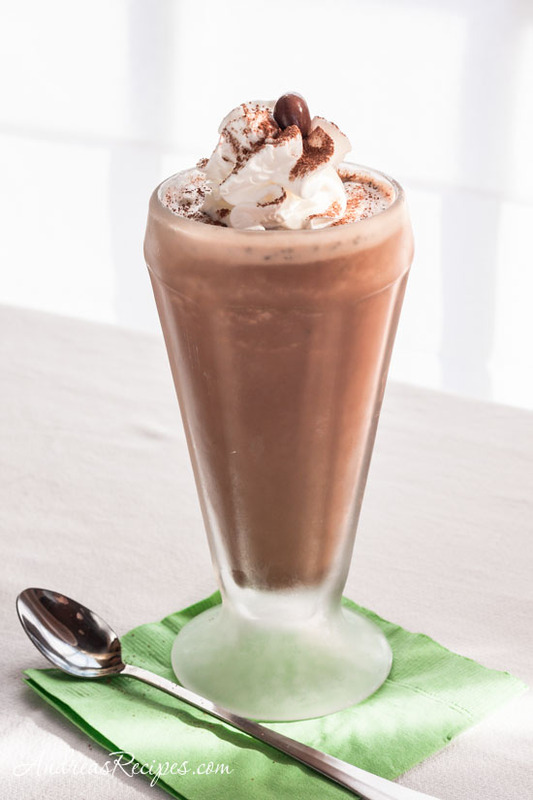 Top the shake with whipped cream, a sprinkle of cocoa powder, and a whole espresso bean. This milkshake sounds phenomenal! I definitely wouldn’t just reserve it for today – I can see myself indulging in this quite often! Sounds fantastic and I hope things brighten up for you and your family. Enjoy all of the luck! And – thanks for the shout out! We love milkshakes around here and your luck of the Irish milkshake would be quite popular, I’m sure! I love a grownup milkshake. Can’t wait to try this! Thanks Peggy, it’s hard to resist. Thanks Stef, and I love your Irish cream recipe! Thanks Kristen! Yes, this one is definitely for the grownups. I clicked on the article to read more and get the recipe imagining making these for my children this afternoon, when WHOA and behold, I read “beer” and Irish Cream! Yes, I know that beer and chocolate are being pared together these days, but this does sound quite exotic. I guess I’ll have to give it a try when I want to shock, amaze and please some adult company.